Make your own homemade grocery store favorites! Everyone has a favorite brand name food that they love to pick up at the grocery store. But these treats can be expensive or made with unhealthy ingredients. Or free eCookbook, 16 Brand Name Recipes: Copycat Recipes for Items in Grocery Stores gives you some homemade alternatives. We have copycat recipes for sweet treats, cooking and baking ingredients, and some savory snack options as well! You'll be surprised at how easy it can be to make your own brand name knockoffs at home. 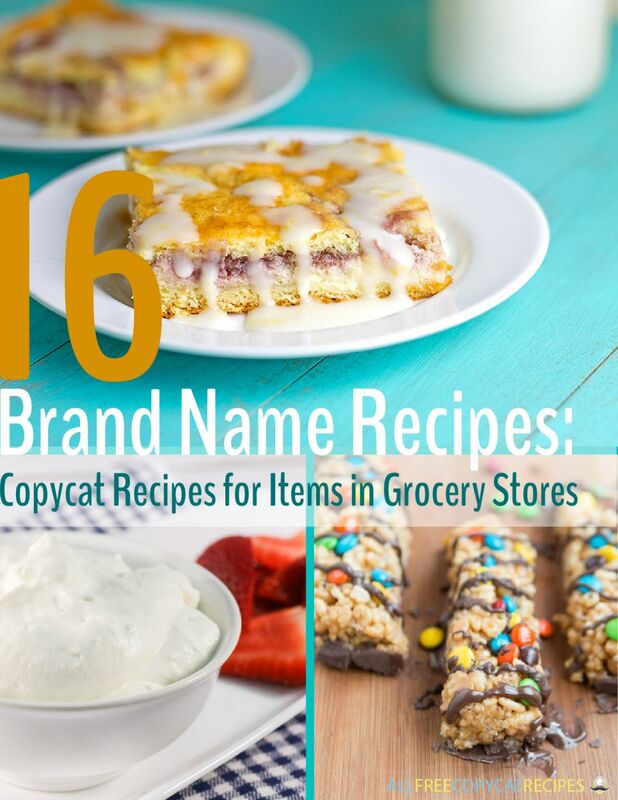 Download your free copy of 16 Brand Name Recipes: Copycat Recipes for Items in Grocery Stores Free eCookbook today! With the prices for grocery items rising, treating yourself to the best brand name items can be a challenge. AllFreeCopycatRecipes is here to help! On our Web site, AllFreeCopycatRecipes.com, we have a variety of copycats for homemade products mimicking your favorite brand name recipes and grocery store items. These copycat recipes for brand name products are fun to recreate at home and allow you to save some “dough” in your wallet. Thanks to our free eCookbook, 16 Brand Name Recipes: Copycat Recipes for Items in Grocery Stores, you can enjoy a variety of homemade brand names. For more cheap and easy copycat recipes, be sure to visit AllFreeCopycatRecipes.com. While you’re there, subscribe to AllFreeCopycatRecipes’ free Crazy for Copycats newsletter to get free recipes delivered to your inbox every week. Learn more and download the 16 Brand Name Recipes: Copycat Recipes for Items in Grocery Stores Free eCookbook today! 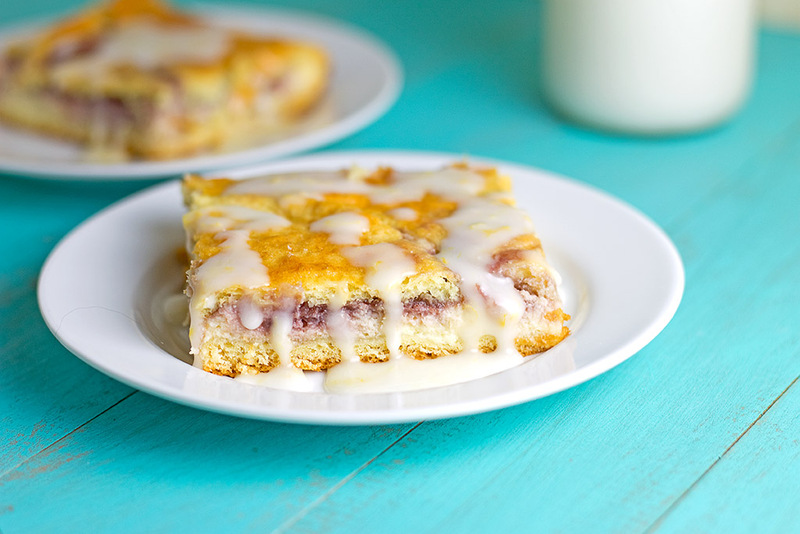 Just Like Entenmann's Raspberry Cheese Danish (page 6): This sweet breakfast treat can be served in the morning or right after dinner. If you thought the original version was good, just wait until you try this flaky home-baked and its homemade icing. Homemade Oatmeal Cream Pies (page 15): Did you every get a delicious oatmeal cookie cream pie in your school lunch as a kid? They were so good! We think this homemade version of the Little Debbie classic snack is even better. 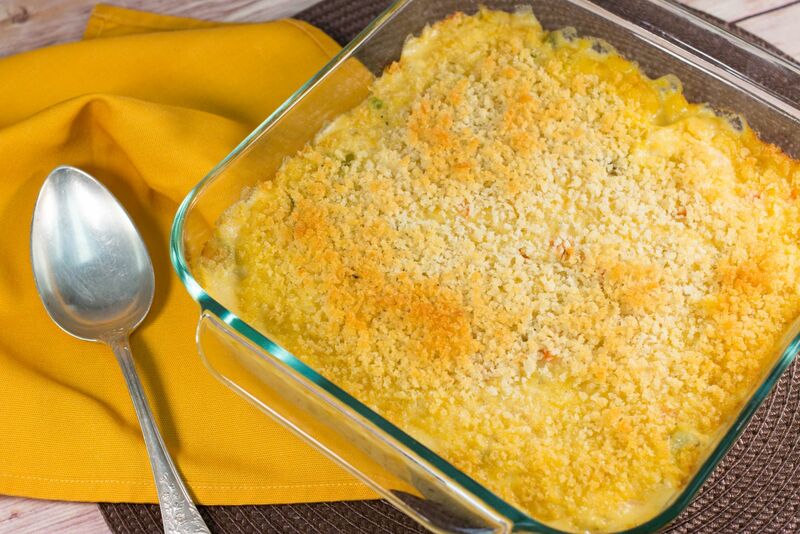 Copycat Stouffer's Chicken and Rice Bake (page 26): This creamy and delicious chicken and rice bake is the perfect side dish or meal. It has a crispy crumb topping that tops it off perfectly. Homemade Chili Cheese Pockets (page 19): No more will your hot pockets be too hot on the outside but too cold on the inside. These homemade chili cheese pockets are warm, filling, and totally tasty. 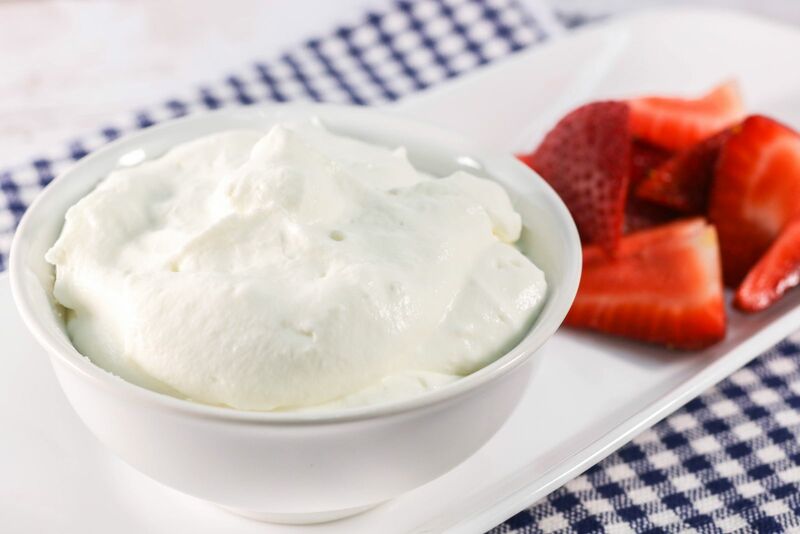 Homemade Cool Whip (page 9): This homemade whipped topping has the fresh, creamy taste of whipped cream but the consistency of Cool Whip. It is agreat, healthier alternative that you can use to make no bake desserts. Homemade Marie Callender's Cron Bread (page 14): Buttery, crumbly corn bread makes the perfect side dish for any dinner or potluck. Everyone will be impressed with your baking skills if you serve this copycat recipe for cornbread. Download the 10 Copycat Recipes from Restaurants & Brand Name Recipes free eCookbook today! You can easily download and print out each eCookbook for easy reference while cooking. For help downloading our eCookbooks, see our help document here. Don't Miss Our Other Free eCookbooks! Weekly emails with copycat recipes, tips, collection pages and more. For the best salad dressing and condiments, be sure to download this amazing eCookbook filled with great sauces and dressing to add a bit more flavor to your favorite veggies, side dishes, and entrees. You don't have to get too fancy with these amazing recipes; they are super easy and super flavorful without being really challenging to make. Bring the taste of your favorite restaurant into your own kitchen with this great collection. Do you have an all-time favorite brand name snack? Let us know in the comments! Looking for cracker barrel fish breading receipt, can you help ? I may not be able to rate this book, but, I can say that you don't have to print the whole thing. Pick the page(s) you want and print them only. I have over 50 of the E Books that are offered on my computer. I use them all of the time and I am not having any of the problems indicated. They take just seconds to download, I keep them in a folder on my desktop, and the most frequently used are printed out in book form and used. The recipes follow right after the index page with ingredients and directions.Make sure that you have Adobe on your computer, It is free!! Great Site!! Wonderful response! I love your suggestions and will put them to use today. Thank you!!! I agree, it is a pain. all I want is one recipe not a bunch to add to my overloaded files. Along with my previous comment, I looked at one of the links for the recipes included. Once you get to the first site, you need to AGAIN click a link in order to access the recipe! Why are there so many steps in order to access these recipes? It makes no sense. Do you have Adobe? If not, that may explain why you can't download. I give a low rate to your 16 Brand Name Recipes: Copycat Recipes . . . This is just an E-Book of names of recipes NOT the actual recipes. I would have to log on to the internet to actually use the recipe. So, this is actually an e-book of recipe titles, not recipes. I agree completely. It would be one thing to have the actual recipes included in the PDF, but this file only has links to go to the webpage where the recipe is located. There are descriptions of the recipes, and, rather than the actual recipe, there is a link stating "Click here for the recipe". Was it really that hard to include the information in the e-book, or is this just another way to have people visit the site?